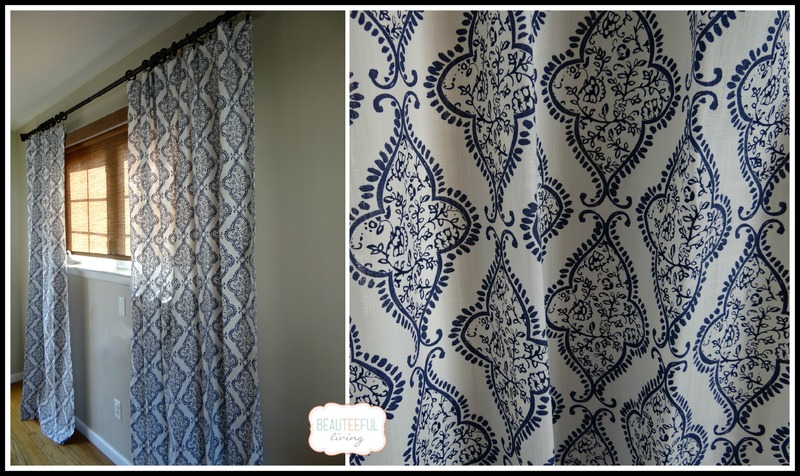 I love textiles and curtains are one of my fave ways to update the home without much investment. While the color of my new curtains is not drastically different, it’s amazing how the print pattern alone makes such a difference. Aside from the print, I love how the curtains (made by Tahari Home) feels weighty. In other words, the fabric does not look or feel cheap. Oh, don’t worry, there will be a future post with tips on window treatments. About 8 years ago, we (meaning “I”) purchased this candle-like chandelier from West Elm for our dining room. 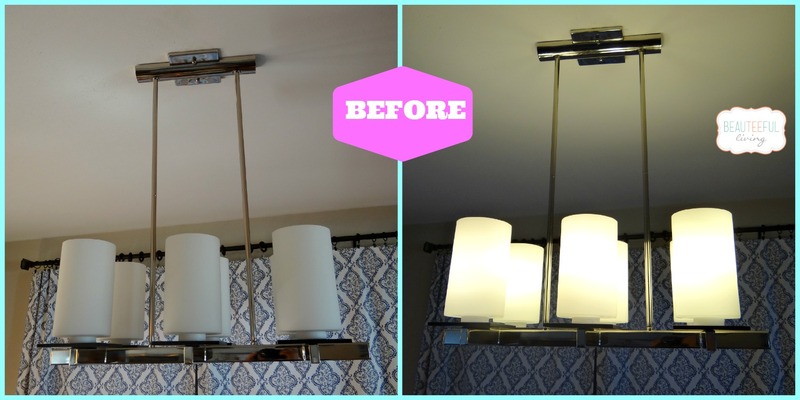 The contemporary, simple design of this chandelier won me over. I loved the way this light looked when lit. However, when unlit, I thought the light appeared sterile at times. I think the cylinder shade having some color (even a slight tint) would have been better. Well, I recently had an idea to revamp our chandelier. 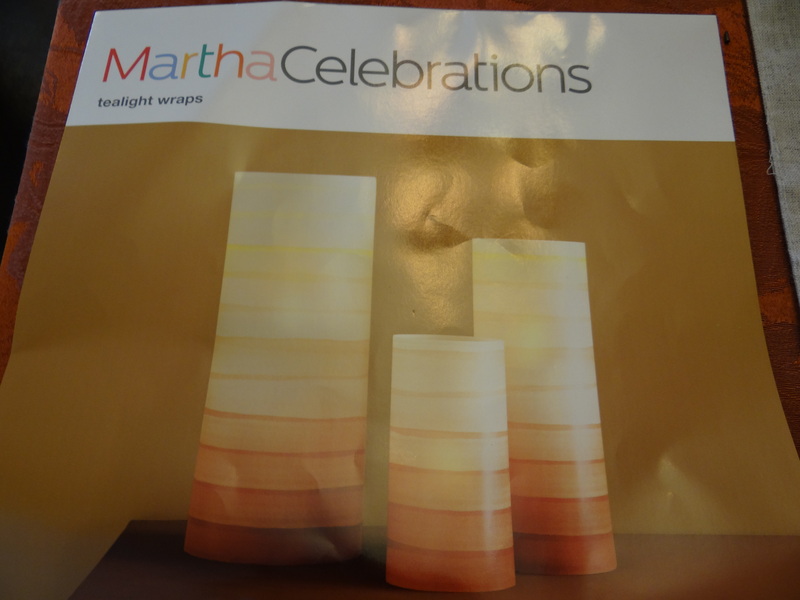 Last November, I had purchased a package of vellum wraps for tea-lights (see below). After locating this package in my fall holiday bin, I got the idea to “wrap” my glass shades. E-x-c-i-t-e-d! I’m not sure if I’ll leave these wraps on past Thanksgiving but it certainly is nice to see the instant warmth this slight change has made to our dining space. It’s amazing how changes, however small, can make us appreciate existing things in our home…a little more. Our dining room curtains and lighting are just 2 of the changes that I’ve made in time for fall. This post is only the beginning of many fall-centric posts ahead. Next week, I’ll show you how I’m setting our table up for fall festivities. So, let’s open our doors to fall…together! What great changes! The windows look *fabulous* and I love how you updated the lights. So simple, and such a big impact! I love your decor. I am envious of you for having the time to make all that. I’m now planning to change curtains too for the Holiday seasons. I love the idea of wrapping your lights! It brings life to the chandelier! ah those lights! i am not a fan of curtains infact We only have those sliding ones. but i know how nice it is to have beautiful curtains. though i love lightings! those are so cute! I really like your new curtains. 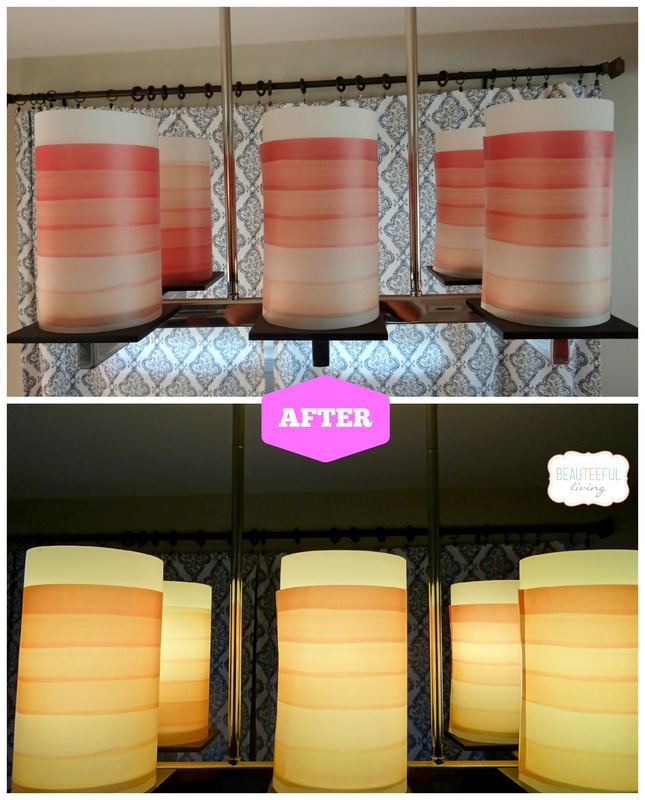 It is interesting to see how curtains can change a room. Those hooks… on the curtains…those are something we have been considering. Our draperies are pretty heavy and formal (but the track hooks keep breaking so we’re thinking of these kind of hooks for a change). Do the hooks hold well for heavy curtains? Hi Rosey! Yes, those hooks should work for heavy draperies as well. I love having them attached to draperies because they make it so much easier to open & close the drapes! Since your curtains are heavy, I suggest getting the wooden (thicker) hooks. I have always loved warm lighting and I think it looks perfect for fall time! You did a great job with the curtains too! We are still looking for curtains for our kitchen! They definitely make a difference! I love change and I update all the time. I especially love making changes in the fall. Wow! Two very simple thing made a HUGE difference! I really love your idea of wrapping the shades though. Wow, those definitely made an impact, beautiful!! You’re inspiring me to make some fun changes around my place as well! Yours look fabulous! Love the lights. They look very pretty hanging. Fall is one of my favorite times of year. I can’t wait to decorate the house. I love the curtains. I am in love with that curtain and the wraps that go around the lights. I need something fun like this in my office maybe. You’re right about how small changes can make a big impact. I love those curtains that you chose! The print is gorgeous. I like how you do Before and After pictures. You really know how to make a place look beautiful. What a fun pop of color! I love that you’ve taken your curtains all the way to the floor, so elegant that way! I love the curtains. It is amazing how one small change can make such a difference. That is a much cleaner look than the old curtain/shear combination. Nice work! I love the new curtains! Amazing how quick fixes change a room. I definitely love the after much better! And I love the new lighting as well, it all works very nicely together! Want to come do my house next? 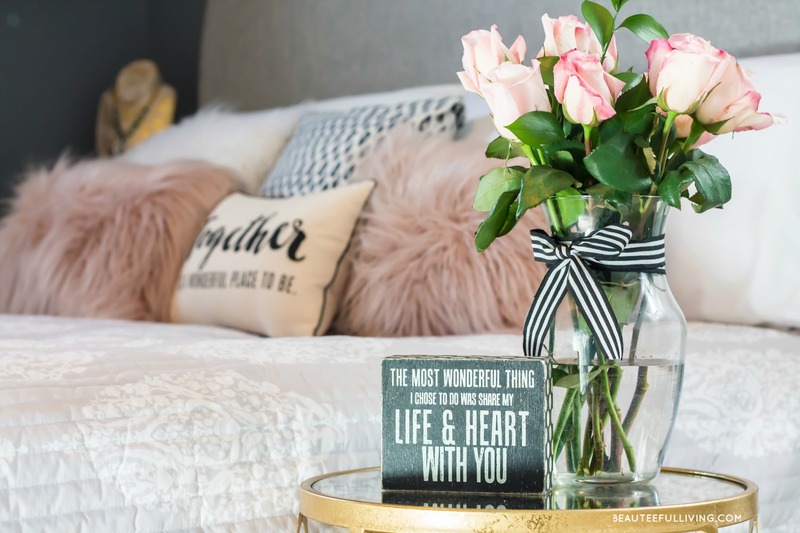 Hi Sarh: Sharing home decor ideas is the next best thing to being there in person to do updates. I’m flattered that you’d want me to revamp something at your house. 🙂 Thanks for commenting! It’s amazing the difference something like new curtains makes. The new ones are cute. 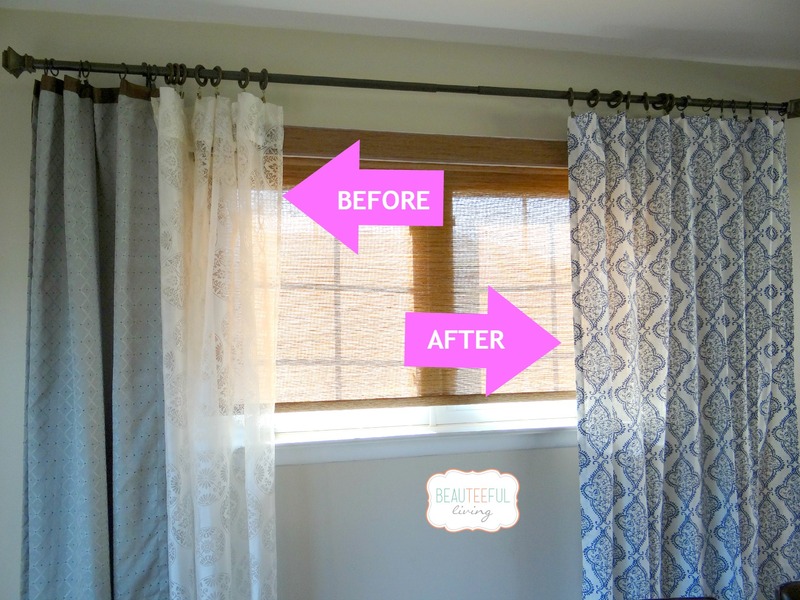 Isnt’ it amazing what changing curtains and fixtures can do for a room? The curtains are lovely, and those wraps are wonderful! Great post! Small changes really can make all the difference. I love the curtains. You just changed the curtains and improved the chandelier and room looks a lot better. Small changes can indeed make an impact. Nice!! I am going to see how I can change our lighting in the dining room. It is a fan/light combo so not sure how much I can do but it would be nice to show more fall colors. And you are definitely right about fall being right here! Chilly and leaves are starting to change color here:) Looking forward to your post next week! I LOVE those curtains! They are stunning, the pattern is a great one. The light additions is so simple, but has a large effect. I have done a few changes for fall. I tend to let summer last a little linger in our home. But I am getting the itch since I am creating projects already. Can’t wait to see more of your fall decor! Thanks, Emily! Yeah, I was so happy when I found those curtains. Looking forward to seeing your projects as well! <3 it! You're right. Why get bogged down by trying to make big changes? Especially, when making small ones can do so much. Very inspiring. Thanks, Dianne! It’s always the little details that can make all the difference. When a project is too big, it lessens the likelihood of us wanting to get started :). Thanks for commenting. the curtains are awesome. you make me want a chandelier! Most of my indoor fall items are out…looking very orange around here :). Have fun decorating!